The Port Authority of the Balearic Islands (APB) has submitted the project for new underground parking at the Port of Ibiza. The new infrastructure will offer 700 parking spaces and will require an investment of 27 million euros. 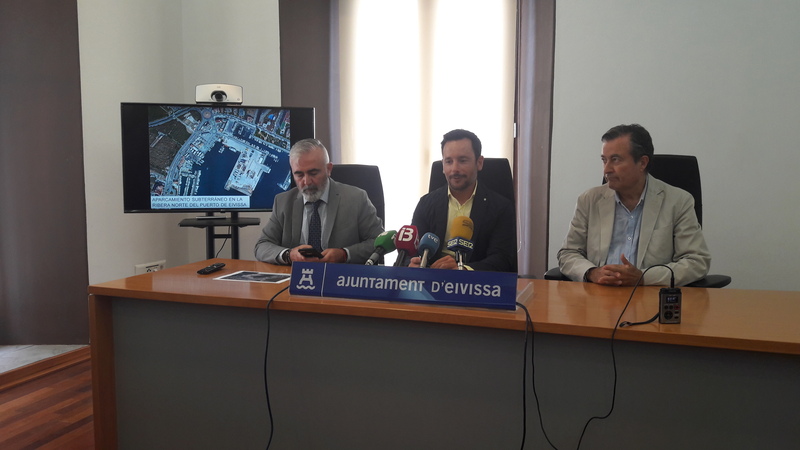 The parking facility, which will be located at the north bank of the Port of Ibiza to provide service to the port area, is part of the set of works that the APB and the Island Council of Ibiza agreed on at the beginning of the parliamentary term for the beautification of the Port of Ibiza. In order to make a decision on the future parking area, the APB studied three alternatives and finally settled on a single-storey model, covering a surface area of 18,272.55 m2, where there will be 691 parking spaces, 21 of which will be allocated to people with reduced mobility. The investment is estimated to reach €27,038,838.26, although this figure will be determined by the final design and the terms and conditions of the concession that will be granted by the APB for the works and future operation of this parking facility. The APB is currently processing a Delimitation of Port Spaces and Uses (DEUP) proposal that requires the approval of the Ministry of Public Works and Transport so that the locations of the new pending infrastructures are listed, including the new harbour station for traffic between Ibiza and Formentera, the new Fishermen's Guild Building, the future boat repair yard and this parking facility. Upon sealing the approval of this DEUP, the processing and bidding can get underway for each one of the works. Both the mayor and president of the APB have highlighted how important this parking area is in guaranteeing a necessary service at the Port of Ibiza, allowing not only local residents on the port's front line –whom will be allocated prime parking spaces– but also all other residents on the Pityusic Islands or tourists to park their car and take advantage of the other facilities on foot.